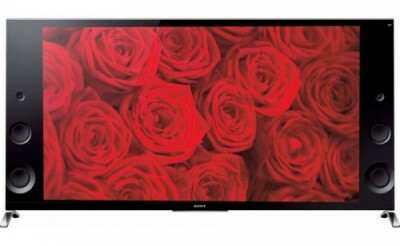 Sony’s XBR models are the company’s premium line of HDTV’s. For 2014 they have released nine new models. The XBR950B is their Flagship model followed by the XBR900B . Sony has gone to great lengths with this year’s lineup to bring you the best possible 4K picture quality available. The 950B and 900B are both 65″ models featuring a glossy screen (which I prefer) in comparison to the dull mate finish screens many HDTVs have, and a matte black bezel and cabinet. The 950 has an all-around slim bezel design which gives it a sleek appearance. The 950’s bezel is rounded at the top ends to give it a unique appearance. It is also a bit thicker at the base rear panel area to enclose the 2.1 speaker system (2 satellites and 1 woofer). The 900B has a wedge shape design which is much thicker at the bottom – this has two advantages: it provides space for larger speakers for better sound quality and it gives the TV a lower center of gravity to help prevent tip-over. Speaking of sound, the 900B features side mounted speakers consisting of 2 tweeters, 2 woofers and 2 subwoofers. I will speak more on sound quality later. The 900B also features adjustable mounting feet with two mounting positions – 22″ and 67″. Network features include Wi-Fi 802.11 a/b/g/n for connecting to your homes wireless network. X-tended Dynamic Range Pro (950B) and X-tended Dynamic Range (900B) technologies: This feature gives these HDTV’s brighter whites and deeper blacks for outstanding contrast reproduction. The 950B has full-array LED backlighting with local dimming. While the 900B has edge LED backlighting with local dimming. OptiContrast Panel with TRILUMINOS: The 950B and 900B both utilize OptiContrast panel technology for improved brightness, deeper blacks, less reflection, and overall better picture accuracy. Sony’s TRILUMINOS display technology creates incredibly true, natural shades of colors that are rich and vibrant. 4K X-Reality Pro Engine: The 950B and 900B utilize Sony’s new 4K X-Reality Pro Engine. This enhances Ultra HD, HD, and SD images by analyzing and refining images with natural detail and excellent color. The 4K X-Reality Pro Engine also up-scales all non-native 4K images to Ultra HD quality. 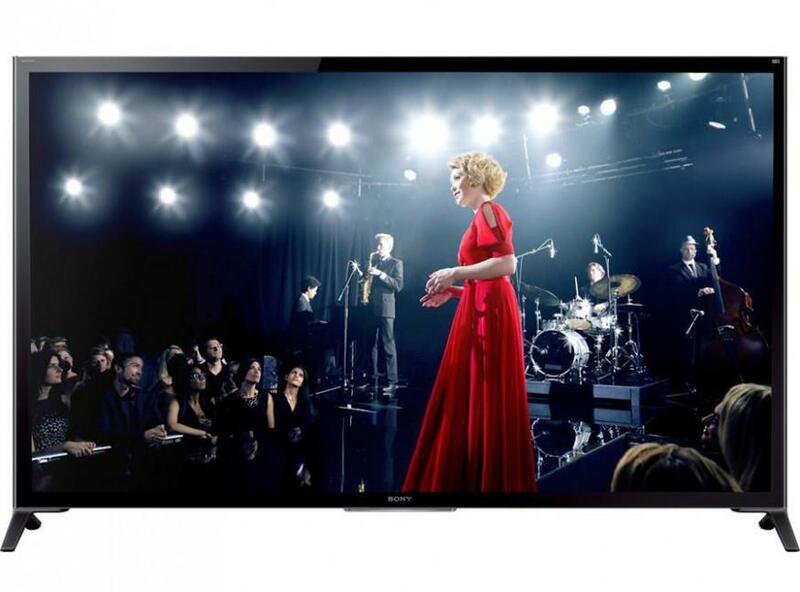 All of Sony’s 2014 4K Ultra HD TV’s support the new High Efficiency Video Coding (HEVC) spec. This codec is needed for optimal compression of video files and is used for 4K video services such as Netflix and other providers. Sony’s latest 4K models are also HDMI 2.0 complainant which means they can support increased bandwidth for higher resolutions and higher frame rates at 4K/60fps. The 950B has a built-in top mounted camera that is Skype capable. The 950B and 900B feature Active3D Technology and include 2 pairs of 3D glasses. Both models come with not one but two remotes. The new “One-flick” touchpad has several advantages over the typical button-style remote. First, it operates via Bluetooth instead of IR, so it’s less finicky as far as needing to be precisely aimed at the TV’s remote sensor. And the touchpad makes screen navigation and switching between apps quick and easy. The other remote is a standard IR clicker. I will get right to the point and profess that the XBR65X950B has the most striking and outstanding 4K LED Ultra HD image I have seen to date. In fact, I will go as far and say it has the best image I have ever seen on any TV, period – in my opinion and experience. The 950B’s image was extremely transparent and life-like with a natural looking tone. This set produced awesome dynamic range from the brightest whites to the deepest blacks which I contribute in part to this sets full-array LED backlighting w/ local dimming. Regarding black levels, all I can say is WOW! The black levels were equal to the best plasmas I have seen. This set produced true deep blacks with no grey shadowing that is present on many lesser performing LED HDTV’s. The detail in dark scenes was well resolved, clean and clear. I could make out all the fine detail in a concert seen of people in the audience. When viewing credits at the end of a particular program with white text laid over a black background, the blacks were dark and inky in nature and what I’m accustomed to seeing in a plasma set. By comparison the 900B’s could not match the black level performance of the 950B. Blacks weren’t as deep and shadow detail wasn’t as resolved, but were still excellent and better than any other LED HDTV I have seen. Color and image detail were outstanding on the 950B, with the most intricate detail and clarity being delivered along with extremely vivid and rich color rendition. The contrast between light and dark areas of the images in the 4K concert footage I viewed were well balanced with the dark areas remaining dark and defined with great shadow detail, while the vocalist on stage was well illuminated with the bright stage lights and none of that brightness caused any blooming into the surrounding dark area of the image which would have given the image a grayish appearance. Excellent performance! The 900B also did well in this area, and on a scale of 1 thru 10, by comparison, I would give the 900B a solid 8 and the 950B a ten. I contribute these differences to the 950B having the X-tended Dynamic Range Pro and the 900B having the X-tended Dynamic Rage (non-Pro). The 4K X-Reality Pro Engine provides outstanding up-scaling of 1080p content to 4K. I viewed the 1080p blu-ray version of Avatar on both the 950B and 900B. This was the best up-conversion I have ever seen. The image was sharp and detailed with great image depth with no artifacts to be seen. By comparison the 950B was notably better than the 900B. The 950B provided better detail, contrast, clarity and shadow detail. Over-all the image was more dynamic. I was able to compare the 950B and 900B 4k up-scaling to a Sony KDL-65W950B 1080p model viewing the same content. The difference was readily apparent with the 4K up-scaled image appearing noticeably better than the standard 1080p image. I was impressed. The KDL-65W950B was no slouch, it’s image quality was still very good by comparison. Off angle viewing on the 950B and 900B were good for LED TV and appeared to be slightly better than average. 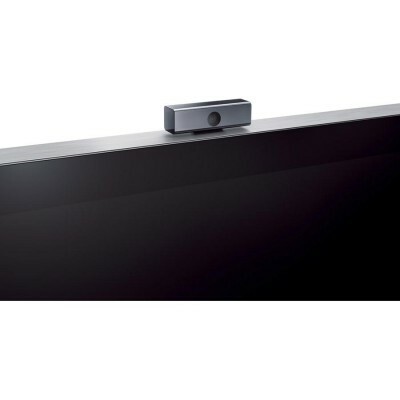 Sony’s MotionFlow XR960 Technology (120Hz refresh rate plus backlight scanning) is applied to both of these sets to create fluid and “blur free” on-screen action. I observed highlights from a soccer game and detected no image blur. Sound quality of the 900B’s side mounted speaker configuration was very good. The sound was clean an dynamic with decent bass extension for TV mounted speakers. A soundbar is definitely not necessary with this TV. The 950B’s sound quality in comparison was lean and thin sounding, with very little punch or impact. I suggest using a soundbar with this display. Sony’s XBR 950 and 900 4K Ultra-HD TV’s produce some of the best images I have ever seen with the edge going to the 950B for over-all picture quality. The images produced by these sets is absolutely first rate; and in addition, the 950B’s performance is virtually second to none in my opinion; however, with the possible exception of OLED based HDTVs, which I believe will eventually become the new benchmark in display picture quality. So if LED HDTVs are your preferred choice for display technology, and these Ultra HD TV’s high price tags aren’t an object, I would definitely put them on your short list. Highly recommended! Excellent review – thank you for taking the time to provide this outstanding detail and clear product differences between these two XBR’s. It has made my purchasing decision clear and now I understand the reason & value behind the price difference. Hi Brain, one of the goals in my reviews is to provide info that is useful and relevant in regards to product features, performance, as well as product differences; to help individuals such as yourself to have a better understanding of what a particular product offers. Thanks for taking the time to read this review and for you thoughtful comments. Hi Milton, I’ve been reading your Sony reviews as well as the Samsung JS9500. I like the new Sony 930C and 940C, but don’t like the weight and the speakers since I already have a surround system. I read that Sony is rolling out a HDR firmware update to additional TVs in their latest ‘C’ line. My question is: why not to the 950B? Is there a tech limitation? Given the existing tech in the 950B, how much difference do you think not having “full blown HDR” will be? Thanks for reading my reviews, much appreciated. I don’t know if the 950B’s firmware can be updated to be compatible with HDR content. The only info I currently have regarding which Sony models will get the HDR firmware update are the XBR930C and XBR940C. Since I have not actually seen any HDR content in person, I cannot say how much of a difference it would make when compared to the XBR950B. But what I’ve learned about HDR technology is that it is said to dramatically increase picture contrast, brightness and to a lesser degree, image detail. The closest I’ve come to actually experiencing HDR content on a TV display is from comparison pictures/images on the internet, which did show a very noticeable difference between HDR content and non-HDR content. I talked to the guys at Best Buy / Magnolia about this TV since it is selling for around $3000 as of April 2016. They said it can only support HDR content that streams through one of the apps on the TV. They said it will not support HDR through any external source such has 4K blu-ray player. The other thing not really disclosed is the newest Sony and Samsung TVs don’t support the Dolby Digital HDR format, so if the industry heads in that direction, those brands for 2016 won’t be able to take advantage of that feature and this can’t be fixed via firmware update. Netflix and Amazon are said to be supporting both HDR formats. So I am on the fence about pulling the trigger to purchase this amazing TV which HDR technology is coming up a little short. To the best of my knowledge Sony’s 950B and 900B are not capable of displaying HDR content due to hardware limitations. So neither would suite your HDR needs. In regards to the HDR formats – Dolby Vision and HDR10 are two different platforms and are not compatible. So until the industry decides which format will win-out (if ever), the format you may end up with will be based on what ever TV brand you prefer or choose. There is also a lot more content available through the HDR10 format. There are a few brands such as LG, TCL and Philips that can display both Dolby Vision and HDR10 content. Also, HDR10 can be added to a TV via a firmware update since it is an open source platform. Dolby Vision, on the other hand, can’t be added through a firmware update due to Dolby’s specific hardware built-in to the TV. I have a Sony 930D and I have to say I’m not impressed with the HDR, this feature seems overrated, I should have went with my gut and got the 950B because I thought it had a better picture than the 930D but I got sucked into the HDR rage. The 950B is a better TV by far imo.